Blank lanyards are 3/8" wide, available in 14 lanyard colors. Select from three optional attachments at no additional charge, your choice of a split ring, bulldog clip or swivel clip. 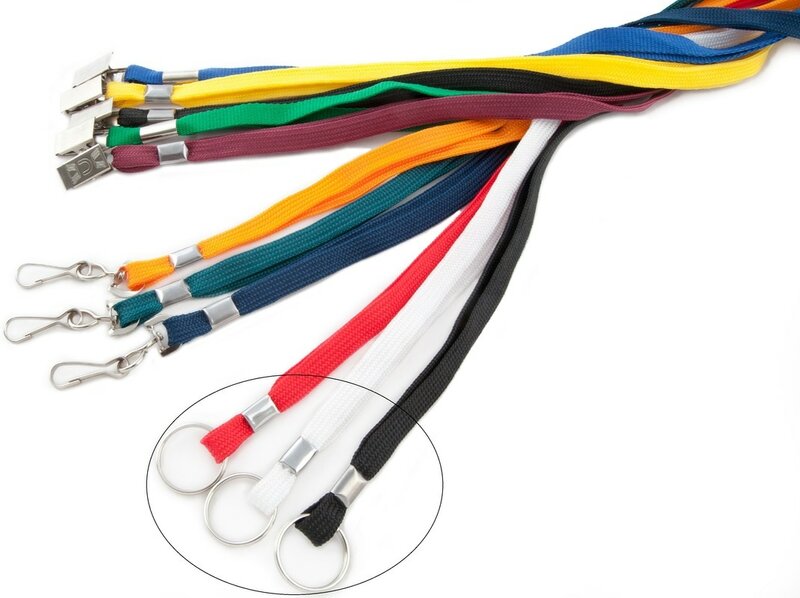 Lanyards have an optional safety breakaway fastener available, see pricing below. Select from a Swivel "J" Hook, Split "O" Ring or Bull Dog Fastener. Production Time: 7 working days, plus UPS shipping time.